Do Hedge Funds Love Agilent Technologies Inc (A)? 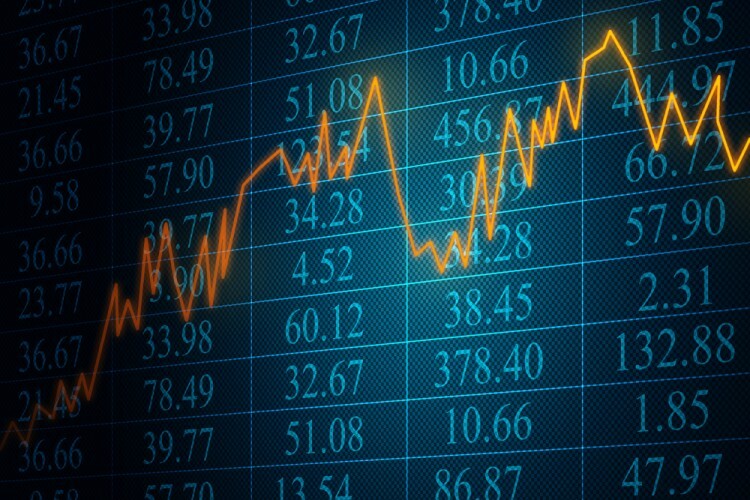 Hedge funds and other institutional investors have just completed filing their 13Fs with the Securities and Exchange Commission, revealing their equity portfolios as of the end of September. At Insider Monkey, we follow over 700 of the best-performing investors and by analyzing their 13F filings, we can determine the stocks that they are collectively bullish on. One of their picks is Agilent Technologies Inc (NYSE:A) , so let’s take a closer look at the sentiment that surrounds it in the current quarter. Is Agilent Technologies Inc (NYSE:A) a buy, sell, or hold? Prominent investors are really in a bullish mood. 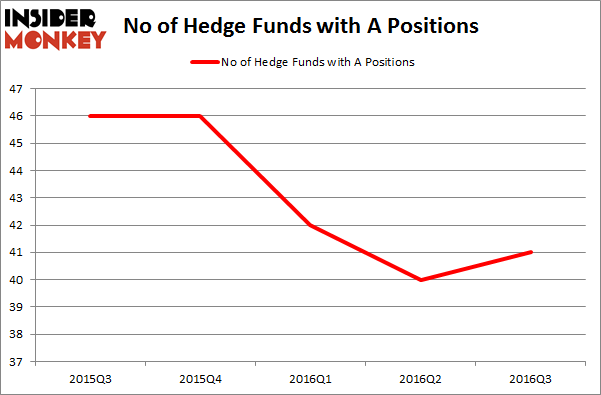 The number of long hedge fund positions increased by 1 lately. A was in 41 hedge funds’ portfolios at the end of September. There were 40 hedge funds in our database with A positions at the end of the previous quarter. The level and the change in hedge fund popularity aren’t the only variables you need to analyze to decipher hedge funds’ perspectives. A stock may witness a boost in popularity but it may still be less popular than similarly priced stocks. That’s why at the end of this article we will examine companies such as Lam Research Corporation (NASDAQ:LRCX), BioMarin Pharmaceutical Inc. (NASDAQ:BMRN), and Vulcan Materials Company (NYSE:VMC) to gather more data points. Heading into the fourth quarter of 2016, a total of 41 of the hedge funds tracked by Insider Monkey were bullish on this stock, an increase of 3% from the second quarter of 2016. On the other hand, there were a total of 46 hedge funds with a bullish position in A at the beginning of this year. With hedge funds’ sentiment swirling, there exists an “upper tier” of key hedge fund managers who were upping their stakes substantially (or already accumulated large positions). According to publicly available hedge fund and institutional investor holdings data compiled by Insider Monkey, Cantillon Capital Management, led by William von Mueffling, holds the largest position in Agilent Technologies Inc (NYSE:A). Cantillon Capital Management has a $211.2 million position in the stock, comprising 3% of its 13F portfolio. The second most bullish fund manager is OrbiMed Advisors, led by Samuel Isaly, holding a $174.9 million position; 2% of its 13F portfolio is allocated to the company. Remaining members of the smart money with similar optimism comprise D. E. Shaw’s D E Shaw, Israel Englander’s Millennium Management and Cliff Asness’ AQR Capital Management. We should note that none of these hedge funds are among our list of the 100 best performing hedge funds which is based on the performance of their 13F long positions in non-microcap stocks. Hedge Funds Don’t Think Very Highly of Annaly Capital Management, Inc... Is Northstar Realty Europe Corp (NRE) Going to Burn These Hedge Funds? Is Nordic American Tanker Ltd (NAT) A Good Stock to Buy? Should You Avoid Nationstar Mortgage Holdings Inc (NSM)? Hedge Funds Are Still Buying Novanta Inc (USA) (NOVT) Is Liberty Sirius XM Group (LSXMK) A Good Stock To Buy?